The 2013 The Coca-Cola Company (NYSE:KO) annual meeting began more like a fireside chat between CEO Muhtar Kent and the legendary Warren Buffett, CEO of Berkshire Hathaway Inc. (NYSE:BRK.A), the largest shareholder of the soft drink company. For most shareholders attending the annual meeting at the Cobb Galleria Centre, Buffett’s presence was a pleasant surprise. Buffett had served on Coca-Cola’s board for 17 years; and his son, Howard Buffett, has been a director since 2010. As Buffett walked on stage, the crowd of 850 shareholders and guests gave him a warm welcome. “When you’re 82, they clap when you sit down because they’re not sure you’re going to get up,” Buffett said. Kent had Buffett tell the story of how he first went into the The Coca-Cola Company (NYSE:KO) business when he was 7 years old in Omaha. He would buy a six-pack of Coke for 25 cents from and sell each bottle to his friends for a nickel. When a man who is arguably the most successful investor in the world is taking a stake in North Texas real estate, it may just be time for Texans adhering by conservative home buying and selling philosophies to breathe a collective sigh of relief about the market’s future. At the HitPLAY Prudential Real Estate Convention held March 10-12 in Las Vegas, CEO of Berkshire Hathaway Inc. (NYSE:BRK.A) and famed finance guru Warren Buffett treated attendees to a candid state-of-the-union speech on the real estate market that should have Prudential Texas shareholders and client’s feeling very optimistic about the future of home sales throughout the Lone Star State. WeWhat does one ask the Oracle of Omaha? Investor Doug Kass will show us all next week at Berkshire Hathaway Inc. (NYSE:BRK.A)’s investor day. For now, according to Bloomberg, he’s doing some important things to prepare for the face-off. Buffett selected Kass, who manages the firm Seabreeze Partners Management, after putting out a call to the investment world. He said he was looking for Berkshire bears — at least one contrarian to ask him questions during the yearly pilgrimage of Berkshire shareholders to Nebraska. 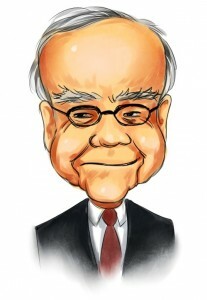 With Berkshire Hathaway Inc. (NYSE:BRK.A) annual meeting–the Woodstock of Capitalism–set for Saturday, May 4, many investors are preparing to flock to Omaha once again to hear pearls of wisdom both from Berkshire’s chairman Warren Buffett and vice chairman Charlie Munger. It’s virtually impossible to overstate the influence that Munger, who recently turned 89 years old, has had on Buffett and on Buffett’s investing discipline. Buffett regularly labels Munger as his “partner” at Berkshire, and fills the firm’s annual shareholder letters with phrases like, “Charlie and I believe…” In fact, in Berkshire’s 2012 letter, Buffett makes reference to their long and fruitful working relationship, noting that “more than 50 years ago, Charlie told me that it was far better to buy a wonderful business at a fair price than to buy a fair business at a wonderful price.” That insight has guided Buffett over the years and helped him become more comfortable with paying up for outstanding businesses with economic moats, or sustainable competitive advantages. A select group of young entrepreneurs have won an opportunity to pitch their business ideas to investor Warren Buffett. The kids, who are between 7- and 16-years-old, were chosen out of nearly 4,000 entries in the online contest. The contest is tied to “The Secret Millionaires Club” cartoon that Buffett appears in to teach financial lessons. The contest is sponsored by the Fairholme Foundation and overseen by the By Kids For Kids Co. Five individuals and three teams will be flown to Omaha to present their ideas to Buffett and a panel of judges. An online vote from May 6-13 will help determine which of the finalists will win grand prizes of $5,000. The runners up will receive $500 prizes.